A. The estimated cost of a Rex's chicken restaurant will be between $450,000 and $1100,000 and is variant upon location utilizing an in-line of approximately 2200-3600 square feet. A. Rex's Chicken Franchise LLC will provide the franchisee with architectural assistance with drawings and specifications. Franchisee will negotiate with construction contractor and other construction suppliers, with assistance in supervision and management of the construction of the facility under the Rex Construction Consulting Agreement. Q. How much is the franchise fee for a Rex restaurant? A. $30,000 per store location. Q. Does Rex's Chicken Franchise LLC offer Area Development? A. Yes. Rex's Chicken Franchise LLC is actively seeking qualified candidates to develop between 3-10 locations. We are not currently offering single unit franchise opportunities. However, we may grant a single unit for a non-traditional location or a small market that we determine cannot support additional Rex locations. A. Rex's Chicken Franchise LLC will have available for the franchisees a complete Grand Opening and on going Local Store Marketing program. Q. How much money can I make from a Rex restaurant? A. We do not disclose earnings claims to prospective franchisees. Therefore, we rely on our franchisees to supply you with information on this subject. Q. How is the site selected for my store? A. Rex's Chicken Franchise LLC will provide Real Estate assistance in the site procurement process including negotiation with the mall or retail space owners. A. Your completed personal profile will be evaluated by our finance department. 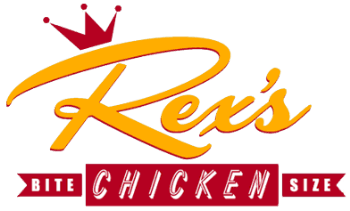 A Rex's Chicken Franchise LLC senior manager will let you know how your financial status fits within our profile and what your financing options might be, if needed. Q. How long is the term of a Rex franchise agreement? A. The franchise term is twenty (20) years. A. Fill out the personal profile form and return it to the address indicated. A Rex's Chicken Franchise LLC representative will contact you and start you down the road to owning your own business.